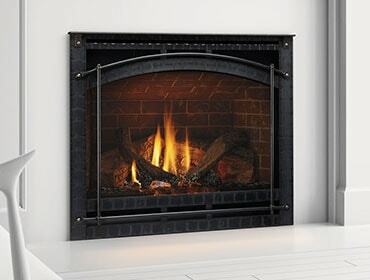 If you have a fireplace or stove in your home, you’re a candidate for zone heating. Heating and cooling accounts for more than half the energy used in U.S. homes – 56 percent to be exact (according to the U.S. Department of Energy). If you live where winters are cold, the lion’s share of money spent on utility bills likely goes to heating. But you can reduce what you spend by zone heating! We call it “heating where you live.” The Hearth, Patio and Barbecue Association calls it just plain efficient, since zone heating has the potential to reduce heating bills by as much as 20-40 percent. Here’s how it works. Most of us have central furnaces that push large amounts of heat through the duct system. While furnaces have 90+ percent efficiency at the appliance, by the time heat is pushed through the duct system the efficiency can be much lower. Fireplaces and stoves deliver heat directly into the area where they reside, providing warmth immediately. It’s possible to reduce your energy consumption by zone heating – simply turning down the central thermostat and using your stove or fireplace to heat your main living area. Most energy efficient fireplaces and freestanding stoves are capable of zone heating. And if your home is big, many models will heat large areas. An example is the Novus nXt. Here’s the bottom line – zone heating can reduce your fuel consumption, saving energy and saving you money. Why not give it a go this winter? For a visual depiction of how zone heating works, check out our video here.